Bookmark this article if you want to keep abreast of all the changes to Jaguars for the 2019 model year. Edited: 9/28/2018, added E-Pace, updated F-Pace, XE, XF and XJ. New optional Smart Settings tracks your usage of radio stations, media, climate control and navigation relative to which key fob is present and returns those settings to your preferences. The Intelligent Phone Reminder function can even let you know you forgot to bring your phone; it can cue you to make a commonly placed call at the time you usually make it. 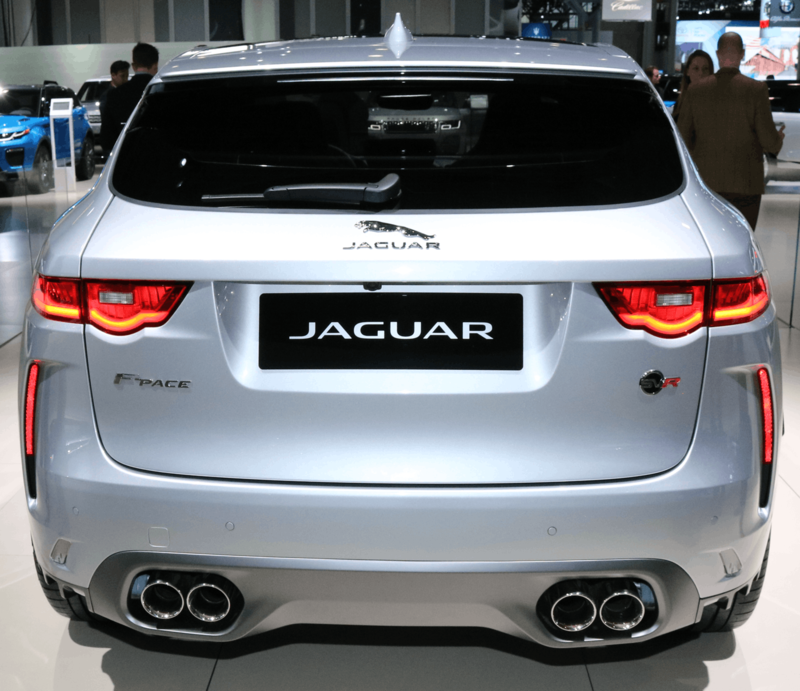 The F-Pace adds Jaguar's SVR performance variant. 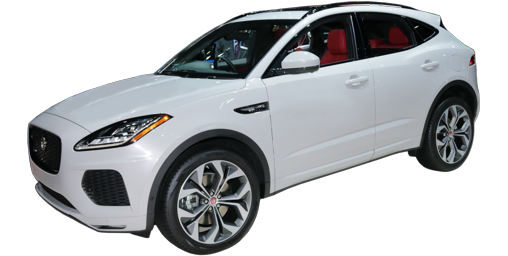 With a supercharged 5.0-liter V8, the F-Pace SVR makes 550 horsepower and 502 pound-feet of torque, directed through an eight-speed automatic and all-wheel-drive. 15.6-inch front and rear brake rotors will stop the beast. Like many performance vehicles, the F-Pace SVR's exhaust is variable, keeping it quiet when you want to prowl the neighborhood quietly, or letting its engine roar loudly on the highway. It will be priced right around $80,000 if you can keep your paws off the options. All gasoline models now have a 21.7 gallon fuel tank. The Adaptive Cruise Control gains Steering Assist and Stop-and-Go capability. Steering Assist helps keep the vehicle centered in the lane and Stop-and-Go can bring the F-Pace to a complete stop in heavy traffic and start up again. Driver Condition Monitor, Autonomous Emergency Braking, Lane Keep Assist, voice command, rear camera, front and rear parking sonar are now standard on all models. The F-Type P300 (the new badging for the 4-cylinder turbocharged engine) now has the same 18.5 gallon fuel tank as the other models. The Sport 400 model is discontinued. The Driver Condition Monitor, which keeps an eye on steering motions to determine if a driving break is called for, is now standard on all models. Autonomous Emergency Braking is now standard on all models with automatic transmission. This all-new electric sport utility is one of the few to be built on a dedicated platform. Designed from the beginning not to accommodate a conventional internal combustion engine, the I-Pace contains its batteries throughout the floorpan, ala Tesla. 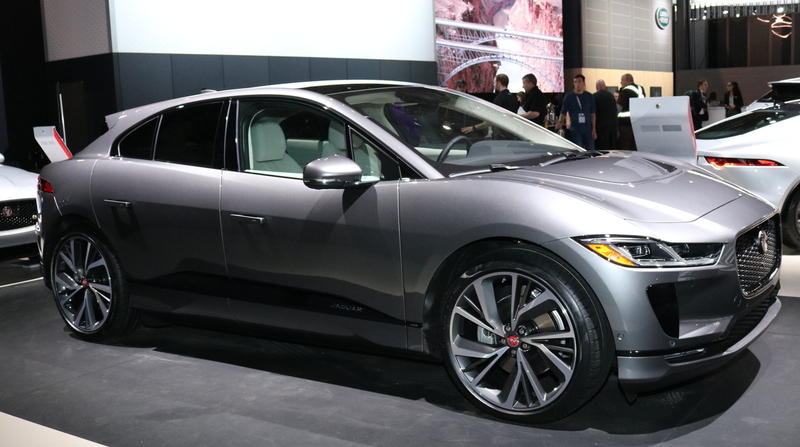 As in the Model X, this design lowers the center of gravity, helping the I-Pace to grip the road like a true jungle cat, silently stalking its highway pray with just the faintest hiss of the tires along the pavement. 394 peak horsepower is split evenly front to rear. Unlike conventional all-wheel-drive, there are no transfer cases or drive shafts, just two motors, front and rear, each delivering 197 horsepower. XE SV Project 8 has the most powerful Jaguar 5-liter V8 so far: 592 horsepower. 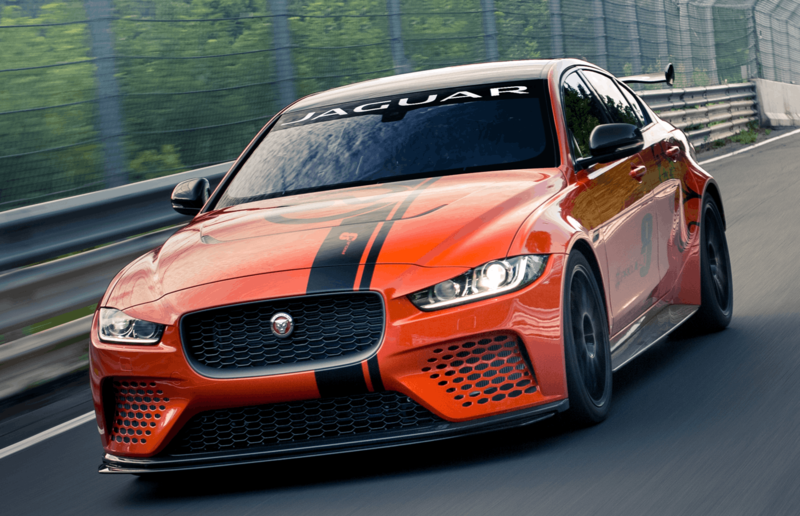 To make the power go further, the XE SV Project 8 is 75% aluminum and has a carbon fiber hood, fenders and bumpers. Jaguar promises a Zero to 60 MPH tim of just 3.3 seconds. Carbon ceramic brakes save weight and will take repeated high speed stops without fading. At 15.8 inches front and 15.6 inches rear, they'll have plenty of stopping power. 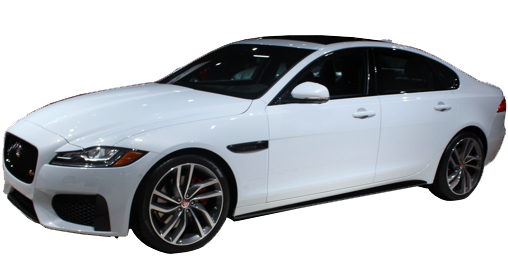 Overall 80% of the car's engineering is unique compared to the regular Jaguar XE. 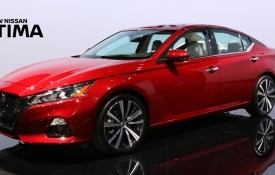 Only 300 of these extremely special sedans will be built, only half of which are coming to the United States. They were due as 2018 models but instead will be arriving as 2019 models. A special edition comes with a sport front bumper, unique wheels, and gloss black exterior trim. It will be offered in red, white or black. Inside it offers the leather seats from the R-Sport and "Landmark" sill plates. It includes adaptive Xenon headlight, Pro satellite navigation and front and rear parking sensors. Any 4-cylinder engine in gas or diesel will be available. A new XE 300 Sport features the 296-horsepower 2.0-liter engine optional in most other variants of the XE. It features the larger 13.8 inch brakes from the S, "300 Sport" brake caliper script, 19-inch wheels, a power rear sunshade, auto high beams and a roster of other luxury equipment and special identifying trim. For all XE models, rear backup camera is now standard across the board. Forward collision warning and Automatic Emergency Braking is now available on all but base models. The XF Sportbrake "estate" or station wagon, if you please, expands its territory. Originally only available as a 3.0-liter supercharged all-wheel drive S model, now the Sportbrake is offered with the 2.0-liter 296-horsepower engine in Prestige trim. It is still all-wheel drive only in the States. XF S is no longer offered in rear-wheel drive; all-wheel drive is standard. 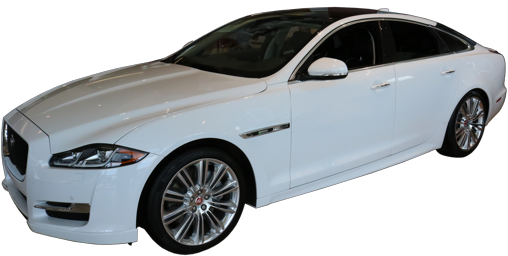 The XF also gets a 300 Sport with the more powerful 2.0-liter (296 horsepower), 19-inch wheels, 14-way power sport seats and a smattering of "300 SPORT" badges. The base XF model is discontinued, leaving the XF Premium as the entry-level model. Thus auto-dimming, power folding exterior auto-tilt down mirrors, power steering wheel adjustment, and folding rear seat (40-20-40 split) are now standard. A rear view camera is also now standard. XJ50 fiftieth anniversary special edition model with supercharged V6 or V8 engine has unique bumpers, gloss black diamond turned 20-inch wheels, gloss black grille and unique badges. Inside the XJ50 has quilted leather seats, an XJ50 logo on the center armrest, XJ50 lighted door sill plates, aluminum gearshift paddles, and bright metal accelerator and brake pedals. The XJ50 will only be offered as a long-wheelbase version. All XJ models now have standrd forward collision warning and Autonomous Emergency Braking.